Okay so this may be a refresher for some people out there but I NEVER knew these existed until recently, however; I have to share my latest miracle product…. Alright so this may possibly be the dorkiest post I’ve ever made (although that’s debatable…haha). BUT these things are truly a lifesaver for my poor, innocent other clothing that was just along for the ride with my pesky dark jeans! 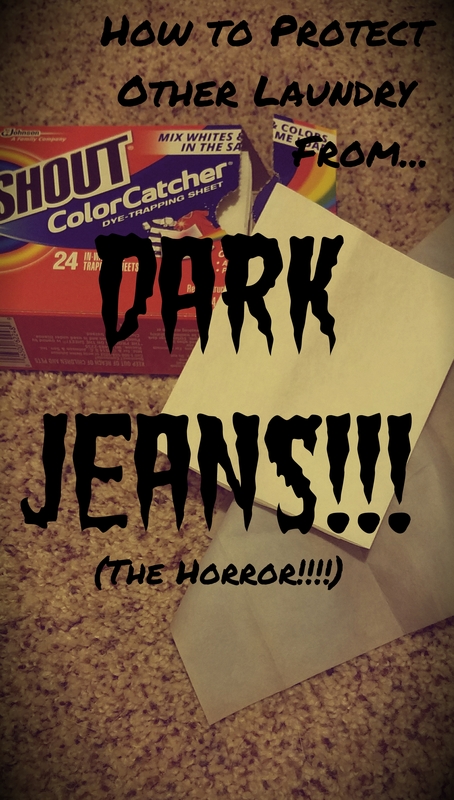 In particular, brand new, dark jeans. YIKES! 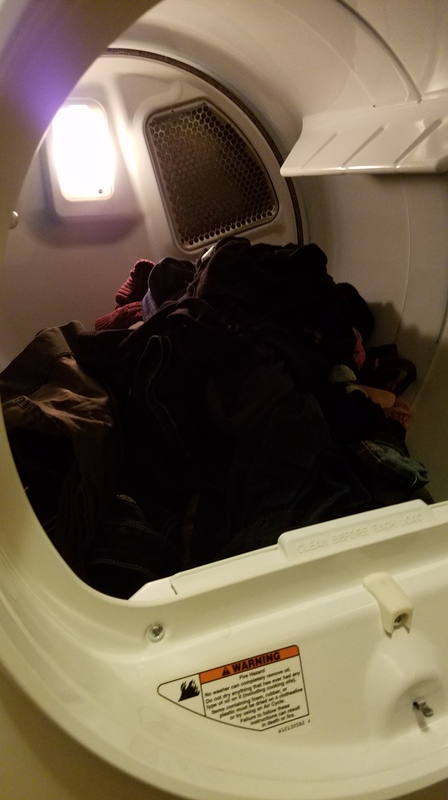 I can’t bring myself to wash a load of laundry without the darn thing filled to the brim! 1. Because I’m busy and need to the maximum amount of laundry in the least amount of time. 2. Because I always have WAY too much laundry to do. Anywho, if you haven’t used these things before I strongly recommend you to pick some up. Your clothes will thank you! Gone are the days of pink tinted shirts, or the green hat/boots that worked great for my daughter on St. Patty’s but used to be a lovely white, and no more dark stains on lighter sweaters! 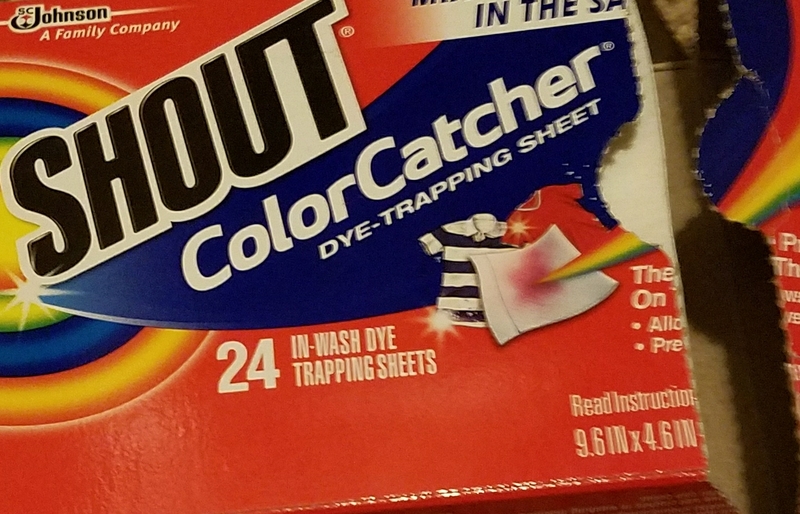 Look at how much dye these little sheets picked up, did I mention they start out white?!? 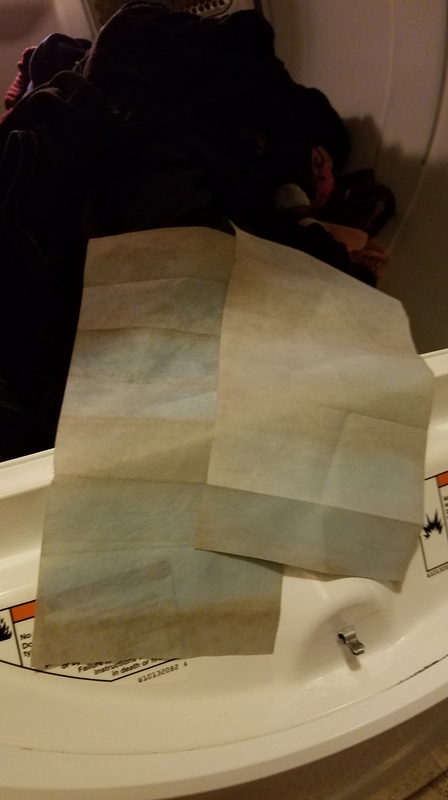 I still don’t have the cojones to mix my light and dark clothing but I’m grateful to know I don’t have to worry about separating my clothing any further – WOOHOO!!! !